The Office@Hand Softphone allows you to maximize your Virtual account. This includes making or receiving calls and receiving your messages. To ensure that you have the latest version of the Softphone, you can manually check for updates. 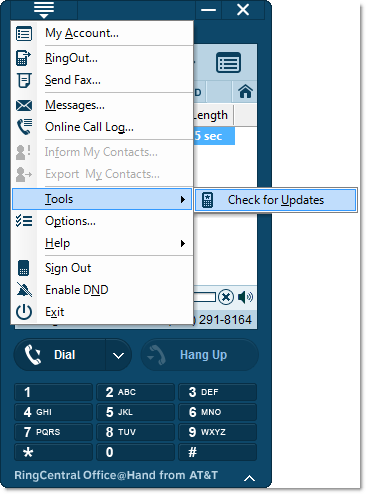 This article will guide you on how to check updates for your Office@Hand Softphone. 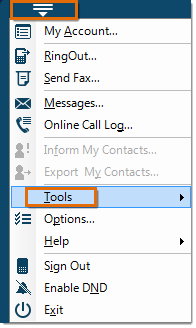 Click Menu then select Tools. Click Yes to begin update. NOTE: A window will prompt you if there is an available update for your current Softphone.